Deep Song - A Tribute To Billie Holiday is Ranee Lee’s tour de force. Originally released in 1989, the disc has been beautifully re-mastered (with two bonus tracks), and is now available specially priced. 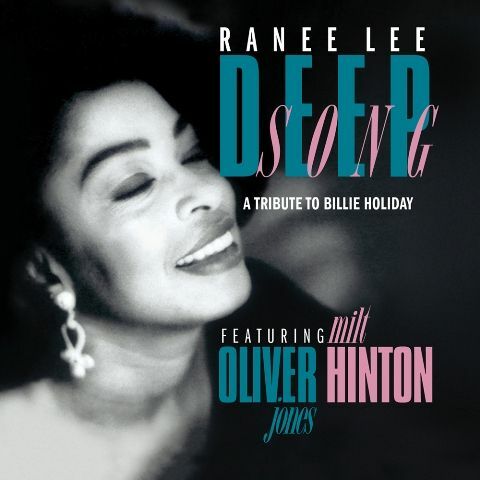 As bassist Milt Hinton (who performed with Lady Day herself) writes in the liner notes, “ardent fans of Billie and listeners of all generations will enjoy the unique talent of Ranee Lee on Deep Song. It is a radiant listening experience.” An extraordinary and captivating performer whether on stage or on the bandstand, Ranee Lee indeed hits a high note with Deep Song. Ranee’s exceptional interpretations are accompanied by outstanding musicians including bassist Milt Hinton and pianist Oliver Jones. Deep Song A Tribute To Billie Holiday confirms Ranee Lee as truly among the elite in jazz today.